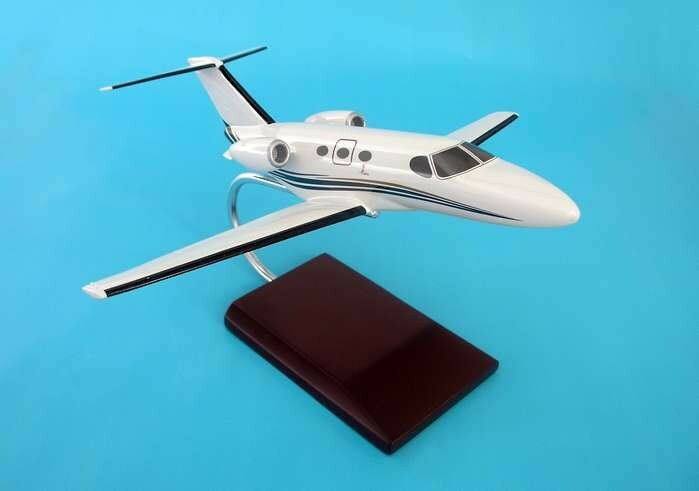 is in 1:40 scale and comes with a wooden display stand. Pleaes note that these items are available on special order and require 1 additional week for delivery. Oversize charges will apply for expedited shipping on this model. Length is 21 3/4" and wingspan is 19 1/4".